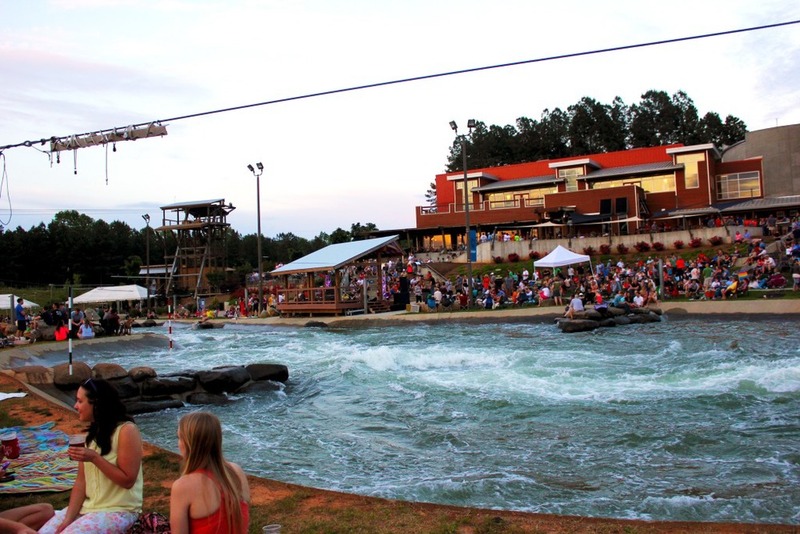 We are lucky to have the National Whitewater Center right here in Charlotte. The Whitewater Center has great running and biking trails, ropes coarses, rock climbing and of course kayaking and whitewater rafting on the worlds largest man made whitewater river. Jackson loved it, for the time he was awake. They have a great beer selection and you can even grab dinner there but DON'T go rogue like we did and eat a picnic under the picnic shelter- outside food and drink are NOT allowed. I guess the picnic tables outside the entrance are to sit there and think about the food you could be eating. Also word to the wise, if you have a baby bring your jogging stroller with big tires, the parking lot is gravel and you will most likely have to park far from the entrance. All in all is was a nice way to spend a Thursday night.